In the end, Pope Francis decided to stick to the silent agreement: after a Walloon archbishop of Mechelen-Brussels comes a Flemish one. Succeeding Archbishop André-Joseph, who offered his resignation upon his 75th birthday in May, is Msgr. Jozef De Kesel, until today the Bishop of Bruges, where he succeeded the disgraced Roger Vangheluwe in 2010. Before coming to Bruges, Archbishop-elect De Kesel was auxiliary bishop of Mechelen-Brussels from 2002 to 2010. The new of Bishop De Kesel’s appointment broke widely in Belgian media yesterday afternoon, but it is only official now, upon the announcement in Mechelen-Brussels and later in Rome. Bishop Jozef De Kesel is 68, which places him among the older active bishops of Belgium. A long ministry like that of Cardinal Godfried Danneels will not be forthcoming then. As the 24th archbishop of Mechelen-Brussels (before 1961 simply Mechelen), Archbishop De Kesel will lead the archdiocese with its three auxiliary bishops, Jean-Luc Hudsyn, Léon Lemmens (who has been tipped to succeed De Kesel in Bruges) and Jean Kockerols. Bishop De Kesel was most recently in the news because he journeyed to northern Iraq on a mission of solidarity with Tournai’s Bishop Guy Harpigny and Bishop Lemmens, an experience that greatly moved him. He likened it to visiting sick relatives, which is what you do to express your sympathy and concern. Back home in Bruges, Bishop De Kesel began calling on parishes to make housing available for refugees. Bishop de Kesel has also had to deal with priests who have been guilty of abuse, like more than a few of his colleagues. Through his diocese, Bishop De Kesel has been very open about those dealings, though. In 2014 he appointed a priest who had been found guilty of abuse by a court of law, although any punishment was waived. This priest later chose not to accept the appointment. In recent weeks, Bishop De Kesel had to suspend a priest after he returned to Brazil against previous agreements. He also contacted Brazilian Archbishop Murillo Krieger to warn him against this priest. Earlier this year, it became clear that Bishop De Kesel was the first choice to succeed Cardinal Danneels, but that Pope Benedict XVI overrode this choice, as he has the right to, and appointed Archbishop Léonard. Bishop De Kesel, while largely popular among faithful in Belgium and abroad, is not without criticism. In 2010 he said he hoped that women could one day be priests, although in 2012 he underlined that the Church is unable to do so. He also believes celibacy for priests should be optional, but also says that this a decision that the Church as a whole should make. No chance of married priests (barring converts or the like) in Brussels anytime soon, then. Some have suggested that Bishop De Kesel is a compromise choice, and that his time as archbishop is intended to prepare the way for Bishop Johan Bonny of Antwerp to succeed him and make the real changes int he archdiocese. Considering that Bishop Bonny will be 67 when Archbishop De Kesel retires (and will have only seven years left before his own retirement), and Pope Francis 87 (if he has not retired by then), this is exceedingly unlikely. A future Archbishop Bonny will have no more time to affect changes than Archbishop De Kesel has now. Jozef De Kesel was born in 1947 in Ghent and raised in Adegem, halfway between Ghent and Bruges. His father was the town’s mayor, and his uncle, Leo-Karel De Kesel, would be an auxiliary bishop of Ghent for almost three decades. 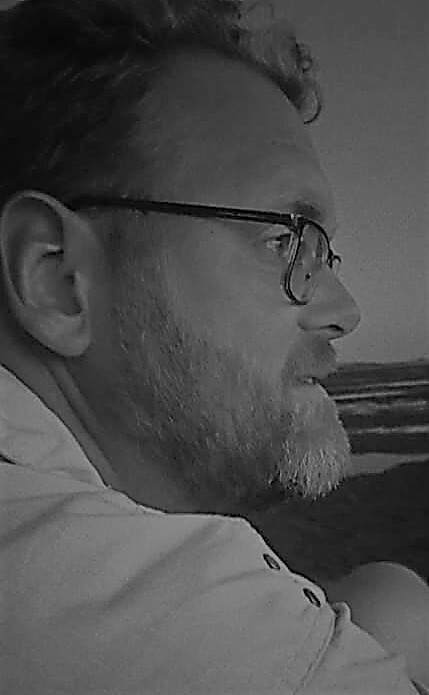 In 1965 he entered seminary and he also studied at the Catholic University of Louvain. He studied theology at the Pontifical University Gregoriana in Rome and was ordained in 1972 by his uncle. In 1977 he became a doctor of theology. In the 1970s he worked as a teacher of religion at several schools, and in 1980 he was appointed as prefect and professor at the seminary in Ghent, teaching dogmatic and fundamental theology, a job he held until 1996. He also taught at the Catholic University of Louvain from 1989 to 1992, and since 1983 he was responsible for the formation of pastoral workers in the Diocese of Ghent. In 1992 he was appointed as episcopal vicar in charge of the whole of the theological education and formation of priests, deacons, religious and laity in the diocese. 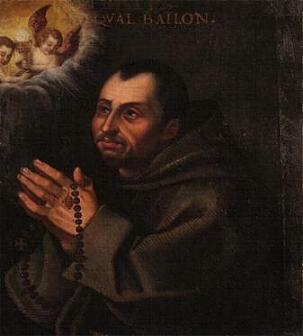 He also became a titular canon of the St. Bavo cathedral in Ghent. In 2002 he was appointed as auxiliary bishop of Mechelen-Brussels and titular bishop of Bulna. His episcopal motto was inspired by St. Augustine: “Vobiscum Christianus“. Bishop De Kesel was appointed as episcopal vicar for Brussels. In 2010, Archbishop Léonard transferred him to the Flemish Brabant/Mechelen pastoral area. Three months later, Bishop De Kesel was appointed as Bishop of Bruges. 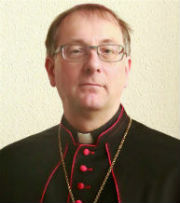 In the Belgian Bishop’s Conference, Archbishop-elect De Kesel is responsible for the Interdiocesan Commission for Liturgical Pastoral Care, for the contacts with the religious, the interdiocesan commission for permanent deacons, the commission fro parish assistants, for bio-ethical questions, for the Interdiocesan Council for Culture, the National Commission for Pastoral Care in Tourism, and for the Union of Women Contemplatives. Archbishop-elect will be installed in Mechelen’s cathedral of St. Rumbold on Saturday 12 December. A potentially difficult situation that is bound to raise more than a few eyebrows has developed in the Diocese of Bruges, as Bishop Jozef De Kesel has assigned a priest, who has been found guilty of at least one case of molesting a minor in the past, to the parish federation in Middelkerke, halfway between Ostend and Nieuwpoort on the Belgian coast. This statement is a response to ongoing media speculations that Fr. Flamez did violate the conditions of his probation, something which the bishop denies. Additionally, many also link him to the disgraced former bishop of Bruges, Roger Vangheluwe, who resigned in 2010 after admitting being guilty of years of sexual abuse. This subject, of the sexual abuse or violation of minors, is extremely sensitive and needs to be handled very carefully. In the first place for the sake of the victims, but also for all others involved with the perpetrator in his new duties. Of course, Bishop De Kesel is correct that everyone deserves a second chance when he or she is able to take it. And our entire legal system is founded on the principle that once a person has been punished for a crime, he can’t be punished again for that same crime. He starts over with a clean slate, so to speak. But as Fr. Flamez has not been punished (for reasons we don’t know – perhaps the case was settled in some form outside court), many may feel that this principle does not apply to him. Bishop De Kesel, backed by not only his own diocesan council, but also by the court and the Congregation for the Doctrine of the faith, which has authority in all abuse cases, has decided that there is no reason for Fr. Flamez not to be the priest in a parish, working with people of all ages, including children and youth. And in this he also seems to be supported by the church in Middelkerke, where Fr. Flamez has been a familiar face for these past three years. Let’s hope his trust is justified, and that this is an example of how people who once made grave mistakes can leave those behind them. Yesterday it turned out that the careful process followed by the bishop – consulting both his diocesan council and the Congregation for the Doctrine of the Faith before appointing Fr. Flamez – was not as careful as it seemed. He forgot one all-important group: the victims of sexual abuse by clergy. And it was Fr. Flamez himself who made the best call possible in not accepting the appointment as parish priest of Middelkerke. A statement published yesterday says that the bishop realises that the appointment hurt the victims of sexual abuse, and that that was never his intention. Which begs the question: why did he not realise this beforehand? The Belgian bishops use certain guidelines when dealing with clergy who have been found guilty of sexual abuse of minors. One of these is that they can never be allowed to work with children and young people again. The position of parish priest does entail working with people of all ages, including youth and children. We can’t know what the exact motivation was for Fr. Flamez’ decision not to accept the appointment. Was it the questions in the media which made his position untenable, or perhaps a realisation that this was not the sort of duty he could take up considering his past mistakes? Yesterday’s statement only mentions “given circumstances”, which is as vague as it gets. All in all, this whole situation, despite the apparent care expressed in certain areas, gives the impression of carelessness. The victims, be they of the priest in question or of other clergy, can not be ignored. The Church is under scrutiny in this area, and may well serve as an example to other institutions. But not when things like this happen. It’s been some two years since the Vangheluwe case broke, but recent research by the Catholic University of Louvain indicates that it has done no permanent damage to the Church in Belgium. Although there were some initial reactions – people leaving the Church, opting for fake de-baptisms, and a whole bunch of newspaper articles and other media comments – these have essentially all dried up. I find myself essentially agreeing with Mr. Claerhout, in that the abuse crisis, and specific cases like Vangheluwe, have changed people’s engagement with the Church. But that need not be a negative change. I think it has made people, laity and clergy alike, more aware, more informed, more critical perhaps. And that can be a good thing. It is encouraging to find that cases as the one of Vangheluwe, serious and painful as they are, do not spell a mass exodus from the Church. People are able to distinguish the acts of one man from those of the Church as a whole. But what we should be aware of is that those same people can, and should, judge the Church on her response. Because that is not the singular action of an individual, but the reaction of the institution that the abuser remains a part of.It is that reaction that will determine how we will handle the fallout and future occurences of abuse. And that matters. As the year of Our Lord 2011 draws to a close, I happily join the ranks of the countless media channels creating overviews of the years past. And both for this blog, as well as the Catholic Church in the Netherlands and abroad, it has been a tumultuous year, both positive and negative. Taking this blog as the goggles we use to look back, blog, Church and wider world become unavoidably intertwined, but, in a way, that is how it should be. In January, we saw the announcement of the beatification of Pope John Paul II, the resignation of Rotterdam’s Bishop Ad van Luyn being accepted, and the launch of Blessed Titus Brandsma’s Twitter adventure. February was the month of interesting considerations by Bishop Schneider about Vatican II, shocking new developments in the abuse crisis, the announcement of a undeservedly short-lived experiment with the Extraordinary Form in the Diocese of Groningen-Leeuwarden, the first signs that all is not well in Belgium, but also three new auxiliary bishops for the Archdiocese of Malines-Brussels, and the vacancy of Berlin. March brought us disturbing news about Bishop Cor Schilder, an extensive message for Lent from the Dutch bishops, disaster in Japan, the announcement of a great ecumenical media project for Easter, and the annual Stille Omgang in Amsterdam. April: the month of the consecration of Bishops Kockerols, Lemmens and Hudsyn, the first EF Mass in Groningen’s cathedral, further attempts at repressing religious freedom in the Netherlands, the bishops of Belgium uniting in shock to further improprieties from Roger Vangheluwe, the pope’s birthday, further personal attacks against Archbishop Eijk and the first preparations for Madrid. In May we saw and read about the death of Bin Laden, the beatification of John Paul II, the first Vatican blogmeet, the appointment of Bishop van den Hende to Rotterdam, the publication of Universae Ecclesiae, a prayer answered, a papal visit to Venice, enraging comments from the Salesian superior in the Netherlands, and subsequent press releases from the Salesian Order. June was the month of papal comments about new evangelisation and sacred music, the end of EF Masses in Groningen, the pope visiting Croatia, a new bishop in Görlitz, Bishop van Luyn’s farewell to Rotterdam, advice on financial compensation for abuse victims, Archbishop Eijk taking over as president of the Dutch bishops’ conference, and the death of Cardinal Sterzinsky. In July, Bishop Rainer Woelki went to Berlin, there was more preparation for Madrid, Bishop van den Hende was installed as bishop of Rotterdam, the pope visited San Marino, Luxembourg received a new archbishop, Bootcamp 2011 took place, Bishop Liesen appeared on EWTN, Blessed Titus Brandsma ended his Twitter adventure, and the crimes of Anders Breivik hit home for Dutch Catholics. August was a big month because of the World Youth Days in Madrid, but we also learned about Archbishop Dolan’s explanation of the Vatican, freedom of conscience being curtailed, the 100,000th visitor of this blog, and the Liempde affair exploding in the media. In September, the official website of the Dutch Church got a make-over, Archbishop Eijk wrote a thankyou note to the participants of the WYD, The Dutch bishops’ conference shuffled their responsibilities, and Pope Benedict visited Germany and delivered an important address to the Bundestag. October, then, saw a successful reunion of the WYD troupe, Bishop Mutsaerts’ intervention in the ultra-liberal San Salvator parish, the bishops declining a proposal to Protestantise the Church, the consecration of Archbishop Jean-Claude Hollerich of Luxembourg, the publication of Porta Fidei and the announcement of a Year of Faith, the appointment of a new Dutch ambassador to the Holy See, the appointment of Msgr. 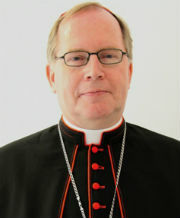 Hendriks as auxiliary bishop of Haarlem-Amsterdam, the first Night of Mary, and Assisi 2011. In November, Cardinal Burke came to Amsterdam, the bishops accept and put into action a plan for financial compensation for victims of sexual abuse, the Peijnenburg affair made headlines, the pope went to Benin and heartwarmingly spoke to children, priests in Belgium tempted excommunication, Cardinal Simonis turned 80, Bishop Liesen became the new bishop of Breda, and a fifty-year-old letter showed that congregations new about abuse happening in their ranks. This final month of December, then, saw the first fifty victims of sexual abuse being able to claim financial compensation, the presentation of plans for Metropolis 2012, Nuncio Bacqué’s retirement, the consecration of Bishop Jan Hendriks, pain and horror in Liège, the appointment of Archbishop André Dupuy as new Nuncio, and the publication of the Deetman report unleashing emotional reactions everywhere. It’s been quite the year, but one with much to be thankful for. The truth sets us free seems especially apt in this final month, but can be applied to the entire year. May 2012 be equally open, honest, but also full of blessings for the Church, the people and everyone of us. Thank you, readers, for the continued interest. That’s incentive to keep on doing what I do here. A happy new year, and may God bless you all. The trend begun in March continued in April. With a nice round 5,900 to the blog, April 2011 is the best month since I began blogging (not counting the crazy peak of July 2010 of course). Here are the 10 most popular blog posts, with number 1 largely thanks to it having been picked up by the New Liturgical Movement. The post about the Stations of the Cross is an oldie from Lent 2010, but it’s fun to see it serving such a purpose this year once more. As for the rest, of course Blessed John Paul II played a major role, as did Archbishop Eijk and former bishop Vangheluwe.